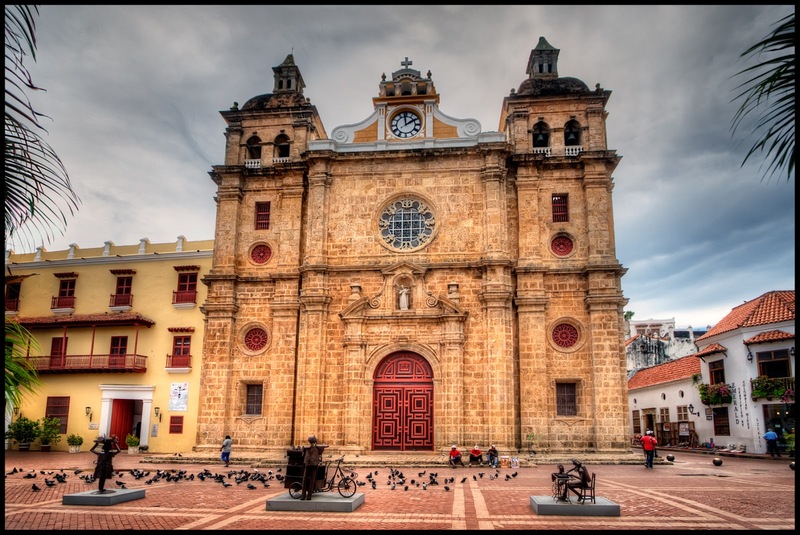 The Iglesia de San Pedro Cláver is in honor of a real Saint who did his miracles in life and after death. If you believe in sanctity this story is going to really hook you up immediately. By the other way, if you don’t have anything to do with Saints, or have an issue about it, you are still going to be amazed about what one man, with love, dedication and service, did for the black people that arrived from Africa to Cartagena as slaves, for those miserable human beings that were treated with no respect for human nature. He dedicated his life to service. Pedro Claver (26/6/1580 – 8/9/1654) was a Spanish Jesuit priest that took his vows here at Cartagena. Painfully impressed by the treatment given to the slaves, he promised in his motto at the moment of his ordinance to the service of God, that he was going to be an “always server of the black people”. “Ethiopem Semper Servus”. And he did so, to the extreme. 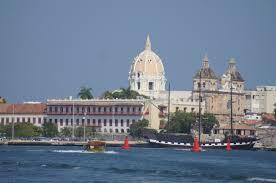 Father Pedro recruited some interpreters into the blacks that were already serving in Cartagena. When the Portuguese slave ships arrived to the port, he would sail to the bay and aboard they and then he would descend to the infernos of the galore to greet the slaves that were treated in unhuman conditions, during the long journey from Africa. With the help of the interpreters he communicated with the Africans and he would feed and treat them with dignity and respect. He even confronted the authorities and the white people demanding better life conditions for the slaves and the native indigenous, known as Indians. He also served the lepers and went every afternoon when he was in town to the hospital. 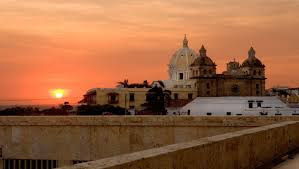 Father Pedro lived in total poverty, even though he managed to get donations and what we called today sponsorships for his humane activities, from the richest of the richest in Cartagena. But additionally to his earthly service Father Pedro did supernatural miracles; one day a soldier who was blind at a military hospital for more than a year, was going to be expelled from the service. The blind soldier asked father Pedro, to help him get the pardon of the commander because he didn’t have how to maintain himself. Father Pedro went to the authorities and was told by the governor that they were not going to help the soldier because he wasn’t of service to the king. Then father Pedro went to the hospital and made a kind of cream and put it in the eyes of the soldier. By the other day the soldier recovered his sight and was reincorporated in service again days after, this miracle amazed everybody in the city. Another miracle certified by the Vatican occurred to a lady who had a humongous tumor on her arm, after being touched by a religious stole that belonged to father Pedro, the tumor miraculously disappeared. If some people are awarded for “doing the extra mile” Father Pedro did in around 40 years or so, more miles than all of the platinum frequent flyers of all the airlines in the world have ever made in life. When Pope Leon 13th beatified Pedro in 1850, he said in his argument that "No life, except the life of Christ, has moved me so deeply as that of Peter Claver"
There is a museum on the side of the church, where visitors can learn more about the life of this saint and his service to humanity. He would do the undoable and love the unlovable. 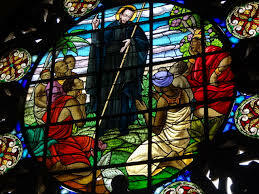 Saint Peter Claver is the most important Saint for black Catholics all around the world, and many black Catholic communities have churches in his name everywhere in the planet. The human rights movements and institutions also honor the life of Pedro. Pope Francis said the Angelus from Iglesia de San Pedro during his visit to Colombia in september 2017. 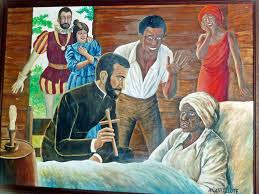 Saint Peter Claver “the slave of the slaves”. This is one of the stops for the Essential Old City and Walls Tour. 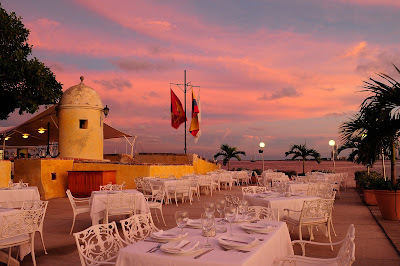 This are some of the Top Colombia Tips for Cartagena de Indias. Thanks for sharing and following my blog. Remember, traveling makes you a better person.